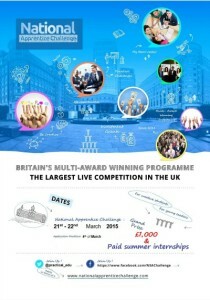 Teams of 4 students should apply directly www.theapprenticechallenge.com by 4 March. The event will take place in Birmingham on 21-22 March. 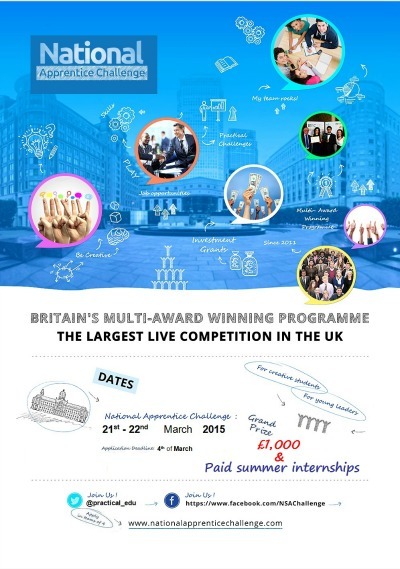 You could win £1000 or a chance to complete a summer internship. If too many teams apply, then an internal Student Enterprise panel will decide which teams will be able to enter the challenge.